Our client approached us with a unique challenge: create a stylized DNA structure for a towering, interactive trade show display (see related project link below). 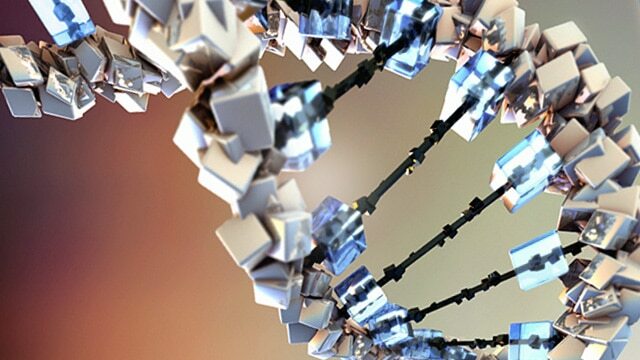 After the successful trade show installation, we revisited the 3D scene independently to explore more visual possibilities, taking subject matter that is recognizable or familiar like the structure of DNA and trying to create a new way to beautifully and dramatically represent the double helix. The new version is here on the right.